We have received 11 reviews of The Crash . You can add a review or scroll down to read reviews. To send in your review of The Crash , please fill in the info below and click the button labelled Send Review Now. Reviews will be checked by our team before they appear on the website. Your last name will not appear on the site, but we need to know who you are in case you win a prize! 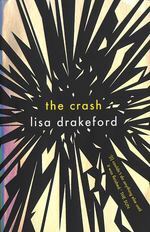 Lisa Drakeford’s books The Baby and The Crash deal with the tough realities of growing up today. Lisa lives in Leicestershire with her husband and two children. Her real name isn’t Lisa or Drakeford. Lisa’s third book is waiting to be published. I loved the suspense of this book! I could really relate to the characters and especially liked the main character.I'd definitely re-read this book very happily and would recommend this book to readers looking for a story with fantastic characters that keep you reading on as this fills that criteria very well. Kaitlyn gave The Crash 4 out of 5 and now plans to read All About Mia by Lisa Williamson. I found the story was always staying on track, and I loved how every so often you would find out about the various characters pasts. I couldn't relate to the characters situations but I could still fully understand them because so much was explained in such a short book. Hannah gave The Crash 4 out of 5 and now plans to read Noah Can't Even by Simon James Green. I really enjoyed this book. I always love stories that change the perspective to add depth and background to the characters and build suspense. At first, all of the characters seem unlikeable and hard to understand but as the story progresses we learn about the griping and varied backstories of the protagonists to fully understand their motives. This book describes life from lots of different angles surrounding one linking event this means that it can reach and appeal to a wide audience. The language and tone of the book is both artistically beautiful and accessible for teen readers and the unexpected turns and changes in the plot kept me gripped until I was finished! This book, in my eyes was a well executed, fantastic novel! Cecile gave The Crash 4 out of 5 and now plans to read All About Mia by Lisa Williamson. This is hands down one of my favourite books of all time now! The characters were all so likeable and unique, I felt like 3rd person narrative was a great choice by the author and made the book really stand out. I loved the way that all the character’s stories linked throughout the story, and I couldn’t put it down! A brilliant read! Maddy gave The Crash 5 out of 5 and now plans to read All About Mia by Lisa Williamson. I wasn't the biggest fan of this book as I don't often like romance novels, however I was pleasantly surprised at the three perspectives and found I really liked the structure and language of the book although I found it quite predictable. Tessa gave The Crash 2 out of 5 and now plans to read Noah Can't Even by Simon James Green. I thought this book was good although I sometimes got confused as to whether I was reading about the past or present. The story was gripping and when I got more into it I struggled to put it down however I did find it was a bit predictable. Zach gave The Crash 3 out of 5 and now plans to read Thornhill by Pam Smy. It is an interesting book, which I would normally never have picked up. However I love the three perspectives as it gives a deeper insight as to how teenagers are viewed in society. I liked the emotional roller coaster although in parts it was awfully scary especially the parts from Izzy's perspective. The journey made me cry and laugh; the story is so complex and each part could almost be entire stories of their own and I love the way they all come together in a fairytale ending. Heather gave The Crash 3 out of 5 and now plans to read Troublemakers by Catherine Barter. This book was very intriguing, although mundane at times. However, the exploration of common issues, such as violence and abuse, created an interesting story to read. River gave The Crash 4 out of 5 and now plans to read Countless by Karen Gregory. I wasn't expecting much from this book at first but it picked up very quickly and soon,I found myself unable to tear away.There is despair, there is frustration,there is fear, there is everything you'd want from this style of book.However, there are some elements of the book that really confused me, having me flipping back chapters to glean and understand what had happened in-between. Overall, a very interesting book from a very interesting perspective, written very well. Poppy gave The Crash 3 out of 5 and now plans to read Thornhill by Pam Smy. Bethany gave The Crash 3 out of 5 and now plans to read Noah Can't Even by Simon James Green. I didn't particularly enjoy the book from a story perspective but it was nevertheless written very well. It had an interesting narrative in that it followed the story from the point of view of several characters in different times. It had themes of both loyalty and deceit mixed in and in parts had hope and desperation working in tandem. Additionally, parts were centred around different relationships - both romantic and with family. Though I didn't enjoy it that much I can clearly see why it was shortlisted. Jem gave The Crash 2 out of 5 and now plans to read Troublemakers by Catherine Barter.